Summary Updated on 30 May 2018: AWS Certified Solutions Architect Professional Exam is no more in BETA, kindly refer the new article. I appeared for the AWS Certified Solutions Architect Professional BETA Exam yesterday. I wanted to give a brief first look idea about my experience with the certification exam. The exam was VERY comprehensive. There were questions from almost all the services that AWS has. There were a lot of questions that required deep knowledge about some of the core services. In the associate level, it was good enough to understand how to use a service (How to start it, how to configure it, its most common use cases ,etc.). But its obvious to attain AWS certified Solutions Architect – professional level, it would be required to understand how exactly a service accomplishes these task. Lets take EC2 for example. (Note: I did not get these questions in my exam, I am just giving a comparable example). In associate level it would be good enough to understand what different state of EC2 instance are start/stop/restart/terminate, and that you can stop and start and EBS backed AMI and retain any state on disk. But in professional level you might be required to understand exactly what happens when you stop an EBS Backed AMI instance; Your root EBS volume is preserved, your instance is released, and when you start the same instance, it will fetch that stored EBS volume and make it the root drive again, thus restoring the state. But the actual physical machine will be different, thus any data stored on Ephemeral drive is gone. Similarly you will be needed to understand how ELB does it load balancing, how VPC features like Network ACL, Route Table, etc. work, different connectivity options in VPC like internet gateway and virtual private gateway, etc. There were a lot of real-life scenario driven questions. I had to draw a lot of diagrams in my scratchpad to understand the question, and understand the scenario presented. You are in the best position if you are a consultant that works with different clients, and has exposure to a lot of real-life scenario. I would recommend going through the AWS architecture designs on their site, and that will certainly help. Stepping up the ante, AWS is making sure AWS certified SA-Professional Level can architect cross-region infrastructure. On the bight side, the beta costs $150, half of what original exam will cost ($300). Also it seems you will get a free attempt if you fail the beta, when the test comes out of beta. So basically there is no downside of attempting this beta, so just go for it. The last date for taking this beta is Friday, and so you will need to register by Thursday. 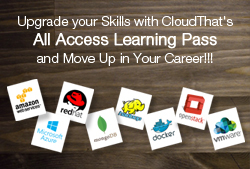 We run online AWS trainings that helps prepare for AWS certifications. If you are interested in our trainings, please fill this form out and we will get back to you. If you haven’t tried out yet, try out Sample Questions for AWS Solutions Architect Associate Level here. Part II of Sample Questions here. If you have any questions, post here and I will try to answer them. Hi, One needs to prepare and there is no other option because its not just exam it’s a means of preparation so that you can put the best to your clients. Also you forgot to mention the blue print that will help all of us. Last but not the least there is not yet any Advanced training provided in India and that is a crucial part to achieve the scores. 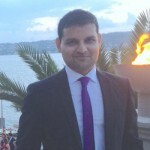 Bhavesh – where is the thread on LinkedIn? What can I do to study and prepare? Gurnet, there is a thread on Linkedin about this and its been said AWS reduced the number of questions to 150 now. Most people including me were not able to answer all the questions. Uttam, you are correct that only training will not work, but training does help. As a consultant you are not aware of all the features, and training helps fill these gaps. We are planning on launching a training targeted at Professional Exam shortly. 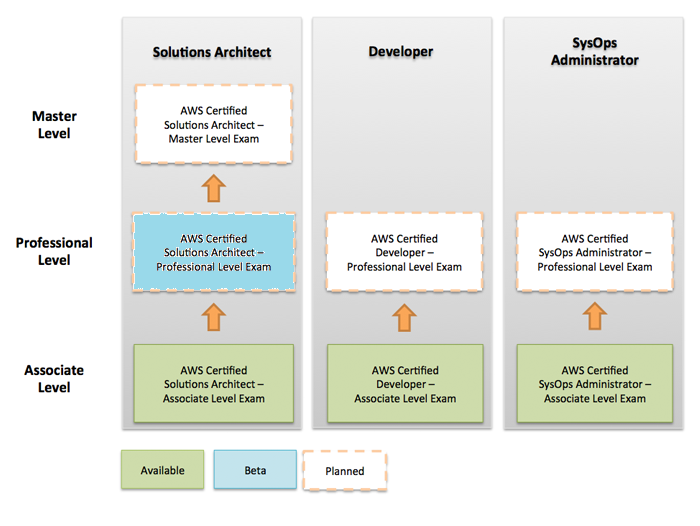 Do you know how many questions can we expect in the AWS Certified Solutions Architect Professional. They have not mentioned it in their blueprint, although it is usually around 50-60. But it can change at any moment. Thank you Bhavesh. I have seen that you have also written the Associate exam. How much is the difference in terms of difficulty and how much one has to prepare more than an associate exam. Also are you offering any course/bootcamp for the professional one. Please let me know. I dont have any professional experience in AWS. I am studying from online tutorials and aws documentation.Do you think that is enough to prepare for AWS Certified Solutions Architect Associate Level.